400 Volunteers at MLK Day Beach Cleanups! 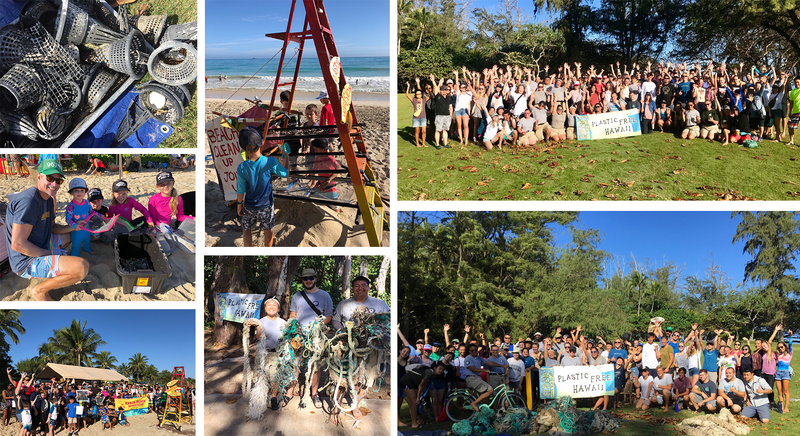 In honor of Martin Luther King, Jr. Day of Service, Plastic Free Hawaiʻi hosted our annual beach cleanup at Mālaekahana and Kalama Beach Parks! At Mālaekahana, 170 volunteers picked up 2,400 lbs. of marine debris, mostly fishing nets and ropes, and at Kalama, 230 volunteers picked up over 100 lbs. of marine debris, mostly microplastics. Mahalo to our co-hosts Kailua Beach Adventures and to our community for showing up to clean!